Seems like a Mutsu to the Colorado, dunno how to feel about glorious 21kts. As a battleship collector, and someone who likes the look of the old dreadnought/WW1 hulls, I'm excited for this. 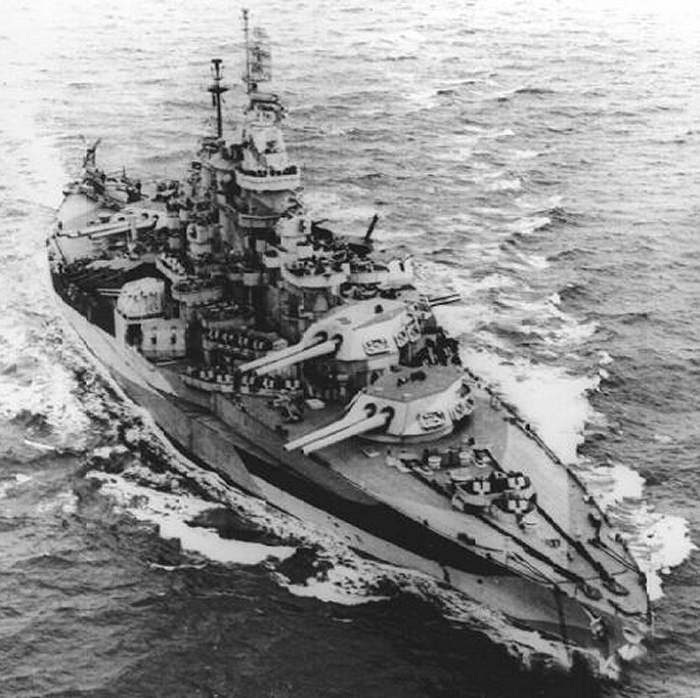 BOO, no Late WW2 West Virginia Refit bristling with the 5 inch secondary mounts, and looking like a fortress? What a waste, sadly! Dammit your all on the ball here, that the second time i've been Ninja'd today while getting as post ready. Can't see why this would be a T6 when it was the last/newest of the Colorado class and was raised after being sunk and refitted into a better ship after being sunk at Pearl??? Strange. Glorious 21 knots perfectly historical comrade! Gotta improve your refresh reflexes on the Dev Blog mister . In all seriousness, you can have the next announcement, pinky swear . I agree this needs to be a tier 7with the refit. haha. Nah it's fine, just mildly aggravating :p.
I understand that but it begs the question why? We already have AZ at T6 as an older BB for the US. Why not do the updated WV as a T7. OMG. Why would they do that to West Virginia? If they were going to downtier one it probably should have been Maryland. It is basically going to be Arizona with 8 inaccurate 16" guns instead of 12 accurate 14" guns. The USN BB line really needed a T7 premium not another T6. To me it looks like WV and Charleston are reskins, Wichita may be a relic from an early version of the CA/CL split. ANd Dreadnaught is a slightly modified Belephron AFAIK. Really only Vanguard is an all new model, and that may be a relic of the RN BB process too. It looks to me like they're basically using low effort solutions to generate extra premiums quickly and cheaply for the anniversary. And i can;t really hold that against them. I bet we'll get Maryland as post pal after the CV rework. Makes sense actually, two similar Colorado variants at T7 would be a bit pointless. WG how can you screw up such an opportunity. Stop being lazy, stop taking shortcuts. Take your time making your premiums, stop giving tech-tree ships/existing ships a slight makeover and slapping a price tag on it. We've seen this with Flint, Black, Massachusetts, Charleston, the new premium Alsace, etc. The post-Pearl Harbor West Virginia is what people were asking for, not a stock Colorado at tier 6. This is disgusting, give us this. Wichita at the moment is the Tier VIII USN CA in WoWs Blitz. While the graphics engines used are different, some assets may be shared between development teams. Here's the ting, you where never going to get both Maryland and WV in post pearl config unless they could shove one of them into T8 and i don't think thats doable. So which would you rather have? I mean, I don't think it's possible to have a T6 WeeVee using the 1944 config. That would be way OP for T6. So, since they had scrapped the old A hull, T6 here it comes. Image of WV for you from dev blog. Denied it's post modernisation form, recycled from an old A hull, downtiered to T6, and turned into a ship nobody actually asked for. Where have we seen this before? Is that you Mutsu? Are you disguising yourself as an American ship now?